Of course, if a family member gets lost, it’s usually easy to locate them with a quick call on your cell phone. It’s a little trickier for wandering pups, however. The best solution available right now for locating lost dogs is with pet tracking technology: specifically GPS trackers and pet locators. The best solution available right now for locating lost dogs is with pet tracking technology: specifically GPS trackers and pet locators. 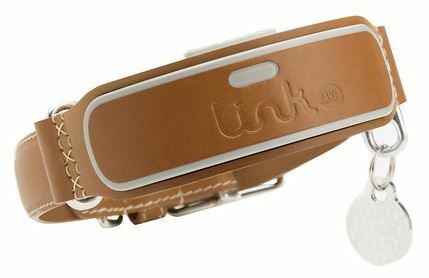 There are a whole host of pet trackers on the market, which inevitably vary hugely in their quality and sophistication. Depending on your needs, you may prefer a simplistic product or one that offers an array of mod-cons, like activity tracking and real-time monitoring via mobile phone app. 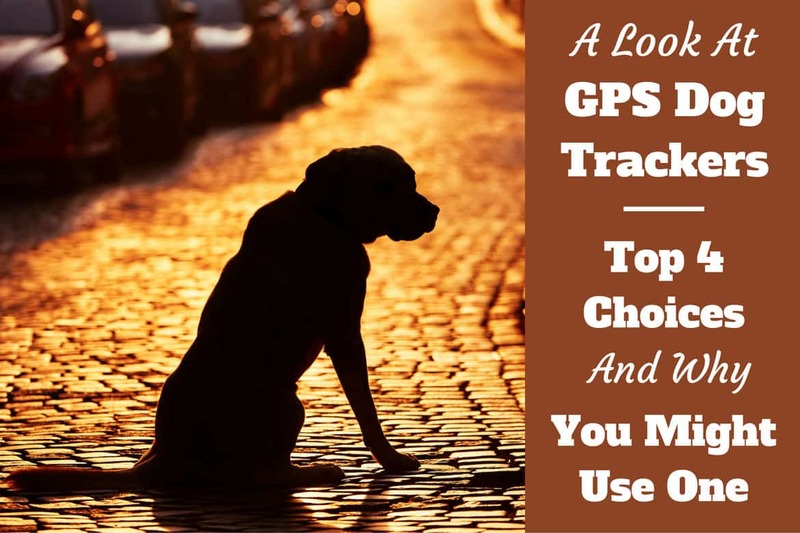 Let's explore what's available and the best option for you and your dog in our buying guide and roundup of the best GPS dog trackers and locators. Note: Some of the links above take you to more information, current prices and customer reviews on Chewy. The statistics show that a huge number of pets go missing annually. The American Human Association estimate around 10 million pets are lost every year, while some authorities claim that up to a third of domestic pets stray away from their families and home at some point in their lives. While microchipping has many uses, it’s not particularly effective as a lost pet locator as it requires someone responsible to first find your dog and then take them to have the chip scanned before you, their owner, can be located. 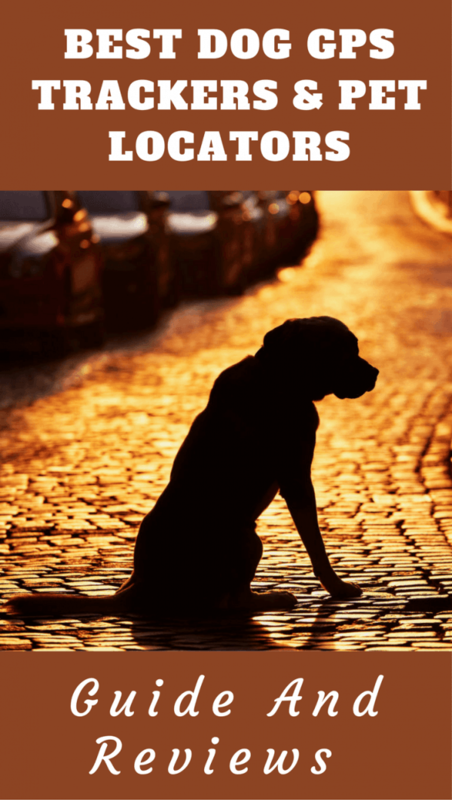 Most lost dogs are generally found by a manual search of the owner’s neighborhood and surrounding area. In these cases, a pet tracker is your best tool for locating your pet and bringing them home. Depending on the quality of your network connection, if you’re using a GPS signal, and the sophistication of the tracking equipment, you should be able to pinpoint the area they’re in and find them easily. Not only are pet trackers practically useful but they also give owners some much-needed peace of mind when they’re out walking their dog off the lead, or when you leave them home alone. Some products even allow you to set ‘safe zones’ for your dog, and then will alert you as soon as your pup leaves the area. Some pet trackers are also able to track canine activity and exercise levels, so can be a great way to find out more about and improve your dog’s mental and physical health. GPS trackers are extremely useful for owners with large areas of land, or those with dogs that are prone to run away and you'd like to know where your dog is at any given moment. Owners most likely to benefit from a pet tracker are those with a particularly adventurous or fast-running dog in the family. If you find yourself out searching for your dog a little too regularly for your liking, it’s likely you’ll find it easy to justify the initial outlay and potential subscription costs of a GPS tracker. 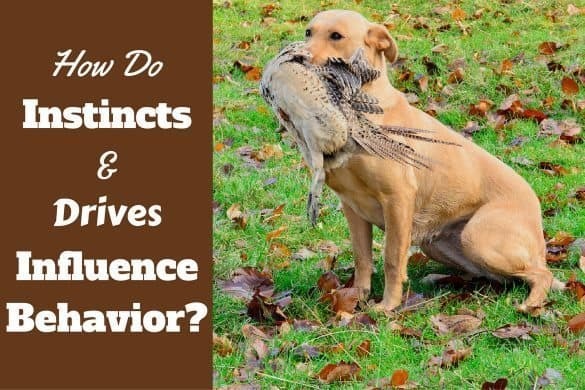 Even if your dog has never shown an inclination to escape before, you’re still likely to find some benefit in a pet locator or GPS tracker. Not only do they provide peace of mind but they give you an insight into your dog’s exercise and behavioral habits. For many dog owners, a pet tracker is a high-tech insurance policy. These are not to be confused with the common microchip that identifies your pet against a database. These are trackers that attach to your pets collar so you can call up a map on your PC or smartphone to see exactly where they are, and even receive live alerts if they wander off or into places where they shouldn't be. There are two types of pet tracker: the GPS tracker and the radio locator. GPS is the newer technology and offers some features that radio can’t, but radio can be more reliable if you’re in an area with weak satellite signals. Radio pet locators have been in use for years and were initially used as locators for hunting dogs who would range far and wide every day. Nowadays, radio locators have been adapted for the mass market and provide reliable location tracking over a short range. As they don’t require GPS signals or network connections to locate your pet, radio locators are often the tracker of choice for dog owners living in more remote areas. Radio pet locators are usually comprised of two parts: the collar attachment for your dog and a handheld device for you. You should be able to press a button on the handheld to send out a location query to the collar attachment, which will reply providing it’s in range. The results will then be displayed on a screen on the handheld. GPS trackers are the latest technology in pet tracking and generally offer the most benefits, in addition to generally higher precision tracking than radio products can offer. Most GPS trackers allow you to track your dog’s movements from a smartphone and occasionally desktop. Many come with an app that allows you to track trends and activity levels. These have a much wider range than radio trackers and will be able to track your dog wherever they go (providing there are the requisite connections). The best GPS trackers allow for real-time tracking, satellite imaging and even indoor tracking in some cases. While pet technology tracking is developing fast, there is not yet a perfect solution for finding lost pets and still room for improvement in much of the technology. The main limitation of GPS trackers is that their reliability and accuracy is only as good as the satellite connection it can access. Most tracking companies now use both satellite signals and the resources of large cell phone networks to emphatically increase their coverage area. Because of this, you will likely need to pay a small subscription fee every month for access to that cell network. While for many owners, this small fee will be worth the peace of mind the technology brings, for others it may be hard to justify, especially if cell phone coverage in your neighborhood is not up to par. Radio, on the other hand, works reliably all the time, but its range is much smaller and it doesn’t have the requisite technology for precision location or real-time tracking, which may prove tricky if your dog is running large distances. 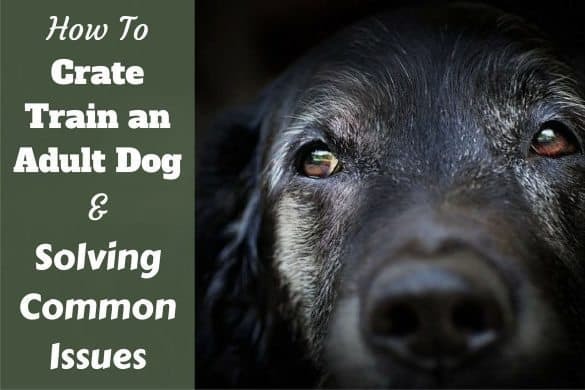 If that’s the case, you will likely have to walk or drive around until your locator tells you that you’re in range of your dog’s signals. Another aspect of pet tracking to consider is the battery life of the product. 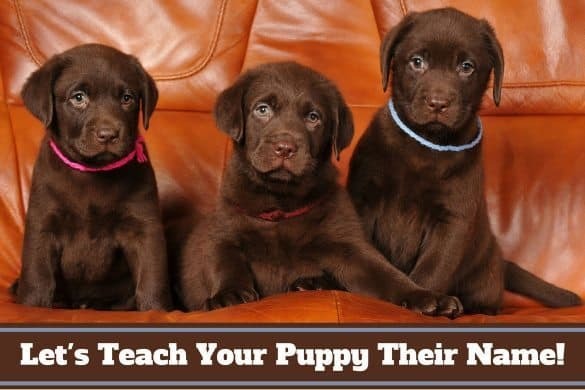 Radio trackers usually have a much longer battery life than GPS trackers, as the latter are working harder to continuously connect signals and monitor your dog. This doesn’t need to be a problem, but you will need to be proactive about charging the device. There are a few other aspects worth considering when it comes to buying a pet locator; particularly these beneficial features which could make a pet tracker more suitable for your dog. Some of the more sophisticated tracking models are completely waterproof while others are merely water resistant. If you’ve got an adventurous dog who you think is likely to embrace running through water after they’ve escaped off the lead or through the fence (erm...Labradors! ), it’s probably worth narrowing your product search to just waterproof models. If it’s not waterproof and your dog does allow it to become submerged, it will likely stop working and render the tracking device useless. 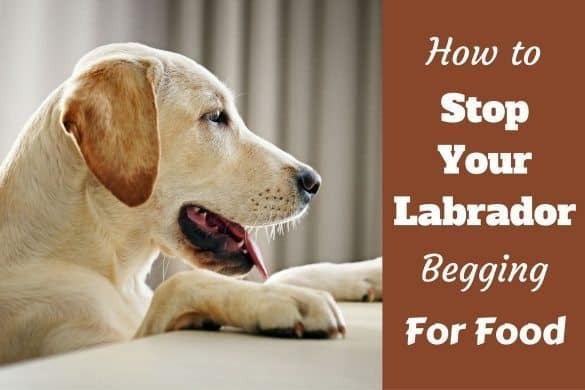 Of course, if your pup usually avoids water or if there’s simply no option for them to find any in the surrounding area, then a simple water-resistant product may be just the ticket. One of the major additional features boasted of some of the GPS trackers is that you’ll be able to definitively track your dog’s activity levels. This could be a particularly useful tool if you’re trying to reduce their weight or if they have an injury. 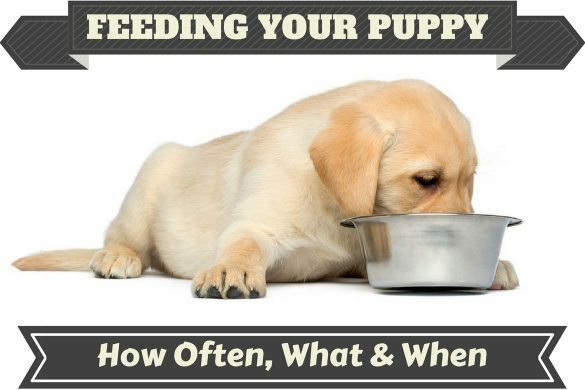 By gauging their activity levels, you’ll be able to adjust their food intake and your interactive playtime with them accordingly. For trackers that are able to monitor your dog’s movements inside the house, it could prove a fascinating insight into your dog’s behavior when you’re not at home. You could see whether they’re relaxed or if they’re suffering from separation anxiety and frantically moving about. Some GPS trackers also allow you to set a ‘safe zone’ for your pet and will automatically notify you the moment that your dog leaves that predetermined zone. This is a particularly useful feature for owners of ‘escape artist’ dogs who are prone to exiting through the fence at the slightest opportunity. Safe zones are usually your home, although some products allow you to set multiple safe zones per animal, which could be useful if you take your pup on holiday with you. You should be able to switch off notifications for leaving the safe zone when you purposefully take them outside for walks or other activities. When you decide to purchase a pet locator, it's important that you choose one that isn’t too cumbersome for your dog to carry around with them. Usually, the tracker is a collar attachment, and you should ensure that it’s durable enough to stay attached to the collar – even if your dog is running hard – but lightweight enough not to irritate your pup. Most tracking devices have a weight requirement of at least 9 to 10 pounds, as a smaller dog is unlikely to tolerate a proportionally heavy collar attachment. Of course, large dogs like Labradors will more than happily pass the weight restrictions! Here are our top picks for the best pet trackers on the market right now. Owning a dog is just like having an extra family member: you can’t imagine what you’d do without them. So, if the worst happens and one day they run away off their lead or escape through a hole in your yard fence, it’s inevitably panic stations. How will you be able to find them and bring them home? 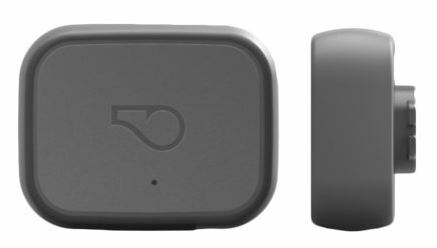 Originally a Tagg product before being taken over by Whistle, this GPS tracker is one of the most popular products in this market. It requires a monthly subscription to the cellular connection service, which starts from $6.95. It’s got a ton of features alongside the actual location tracking, and is particularly suitable for owners looking to assess their dog’s activity levels, set exercise goals and track various trends. This is a classic pet locator and again is very popular. 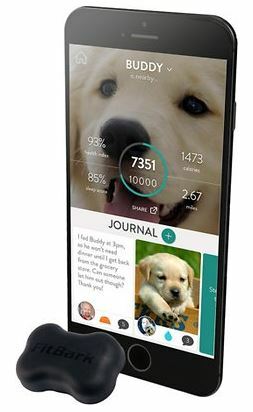 One part of the device is attached to your dog’s collar while a mobile app allows you to track them with one single button push. You can send check the app whenever you want and the collar attachment will always respond with its location. It can advise on your dog’s distance from you in real time and provide directions. You'll need to recharge the batteries every now and then. This is another GPS tracker from one of the most trusted pet location brands on the market. Like the other GPS trackers, you will need to pay a monthly service fee (starting from $9.95) as well as a one-time activation fee. It doesn’t have the same bells and whistles that some of the newer GPS tracking technologies sport, but it's still popular for its reliability and accuracy. 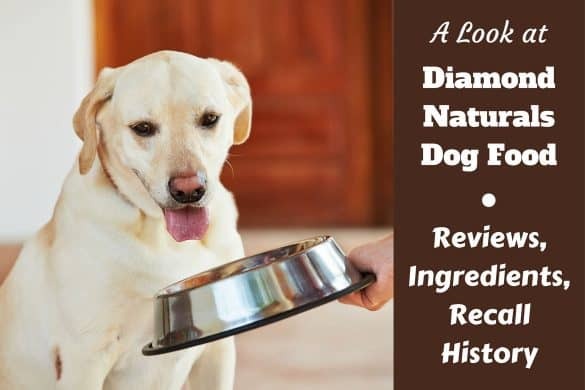 Hopefully, you’ll now have some idea of the many benefits of pet trackers and what type of product would work best for you and your dog. Considering the huge number of pets that go missing every year, a pet tracker is an easy way to establish peace of mind and a safety net for your dog. Why Do Dogs Chase Their Tails? is it Ever Anything to Worry About? The tracker list needs updated because Whistle bought Tagg in 2015. The older Tagg devices still on Amazon.com don’t work with the newer Whistle hardware. Whistle and Tagg are the same and have been since 2015. Bought the Whistle 3 tracker. It never worked – would not connect to the ATT cellular network and I live in a area with a decent ATT signal. Same problem as previous person. Whistle 3 NEVER worked with the cell service, even in an area with good ATT coverage.  My old TAGG was great….Connected with Verizon. Customer service tried multiple things to make the unit work…I ended up returning it. Great article LTHQ. I was going buy the Pod3 for my dog Kiki but following your review on ” whistle 3″ I think its changed my mind. I agree the best dog trackeris the whistle 3. It’s packed full of features and not as priceyas the alternative pet trackers thats why it’s rated byRangersdog.comat 9/10. Wow! Whistle 3 seems to be problematic for many people! The Marco Polo Pet Monitoring System’s radio frequency technology is the best choice if you are in an area where Bluetooth and cellphone service is poor.